Every time I ever dared to eat some, I always regretted it. Sometimes the tin that fruitcake came in could make it look appetizing, but one bite was usually enough to send you back to reality. In America, they probably stopped making fruitcakes in the mid-1960s. There is no need to make more of them after a certain amount. (Who eats fruitcake anyway?) 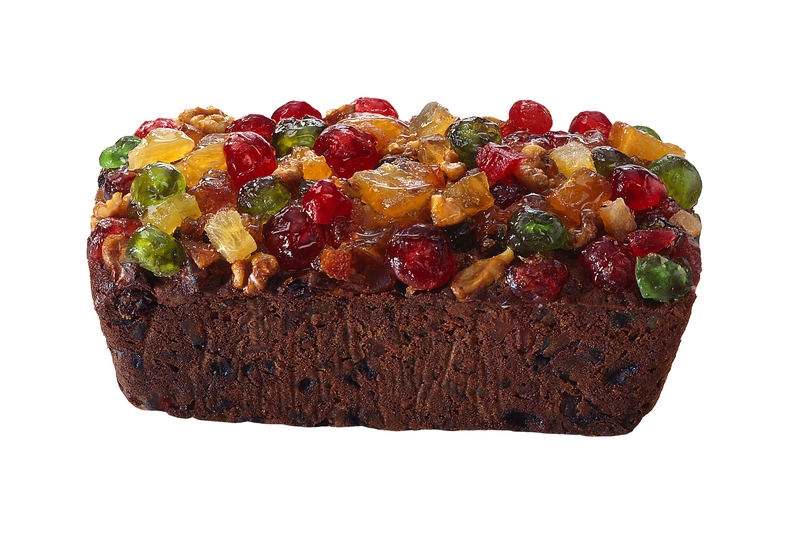 In America, fruitcake is the ultimate regift. You get one, put it in the closet and voila! You have an instant present for Aunt Margie or whoever next Christmas. Of course, you might get it back in few years, but who cares? Fruitcake never goes bad. Or at least, it doesn’t get any worse. How could it? Then the other other day I accidentally had a Hungarian fruitcake (gyümölcs kenyer? ): It was probably made very recently, as the breading, unlike any fruitcake I ever experienced before, was actually soft. The fruit inside was sweet and retained moisture. It was like … like … food. I got an entirely new understanding of the word „fruitcake,” which I now understand can have a pleasant taste if prepared correctly.